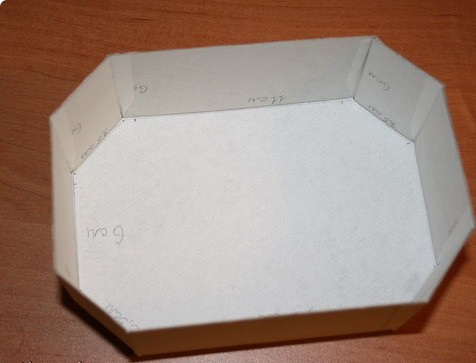 When the real material might be expensive or hard to find, creating a look-alike is a fun way to go. 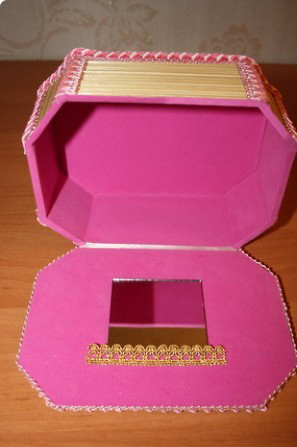 Jewelry boxes are a wonderful possession to have and to hold one's valuable items. 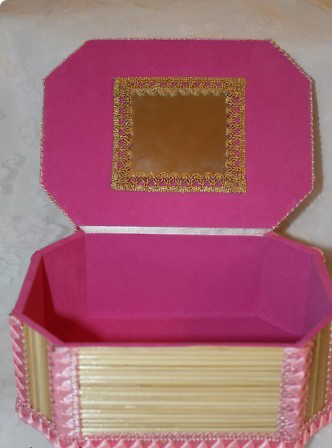 These jewelry box may also be gorgeously embroidered or complimented with exotic beads. 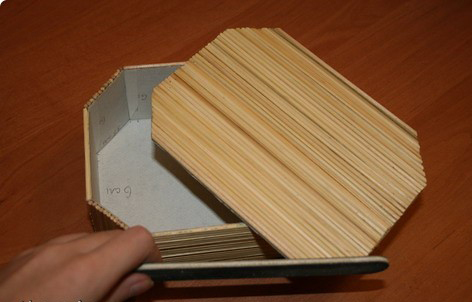 These Box have been carefully hand made by fine domestic and exotic wooden recyclable wood. 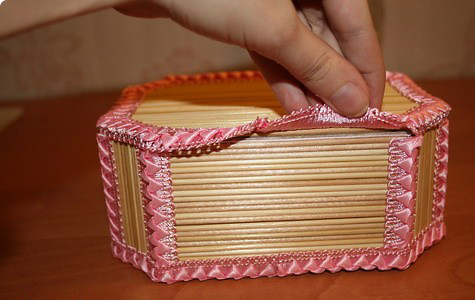 Gorgeous, stylish, eloquent and gracefulness is what defines jewellery boxes fabricated from handmade wood. Unsurpassed in their quality and craftsmanship, they reflect the elegance of time gone. 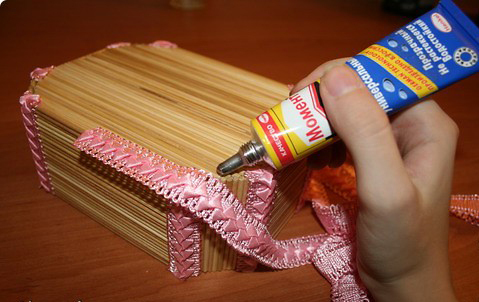 these handmade jewelry box are not only perfect to compliment one's jewelry piece but can also become a desirable gift item. These box possess an exceptional heirloom quality that one will be proud to own for years to come. 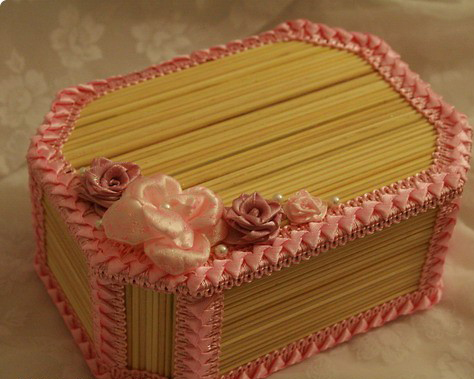 Make the jewelry gift special and unique with decorative handmade jewelry box and the gift recipient will have a piece of amazing jewelry and unique gift box to cherish for a lifetime! 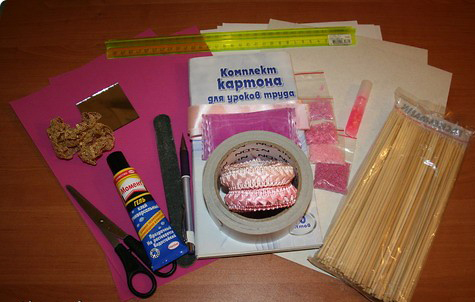 1) Materials required: thick cardboard, scissors, ruler, pencil simple, glue, double-sided tape, wooden skewers, velvet paper, plain white paper, acrylic paint, paint brush, sandpaper, a mirror, decorative silk ribbons and beads. 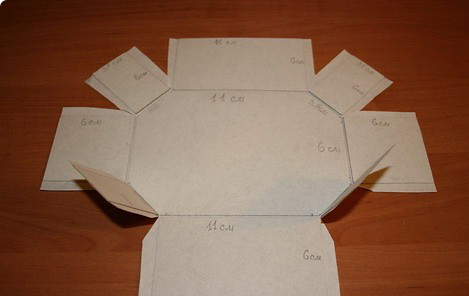 3) I paste cardboard cut out on a white sheet of paper in such a way. 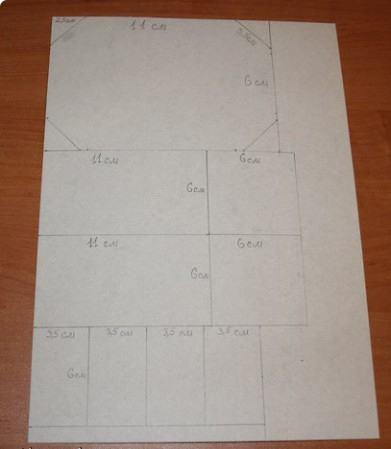 Between the cartons must be done in a short distance of 2 mm. 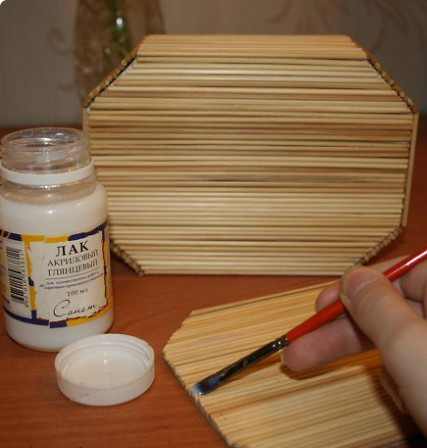 8) Box cover with 2 layers of varnish and give it to dry. 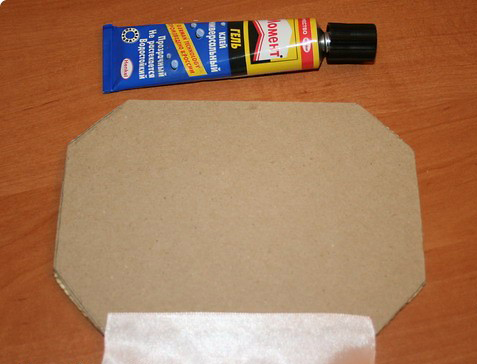 9) On the lid (where it will open) from the reverse side glue satin tape. 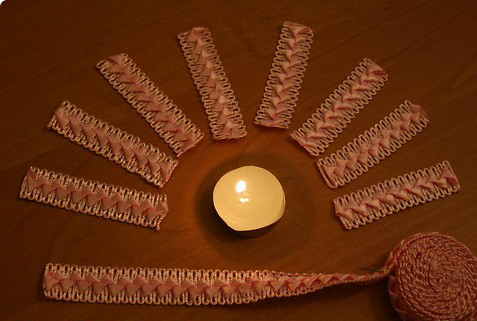 10) Cut the strips into pieces and burn them in the edge. 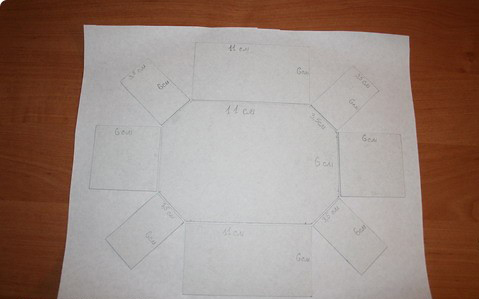 14) tape cover. Where the cover is attached to the box, tape pasting like that. 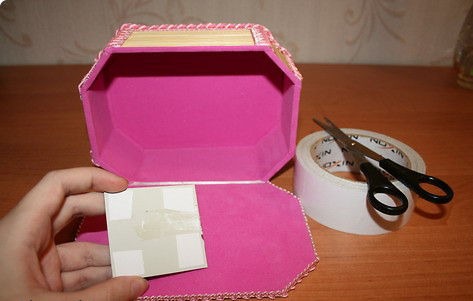 15) Pasting satin ribbon with a lid to the box. The tape should pull. 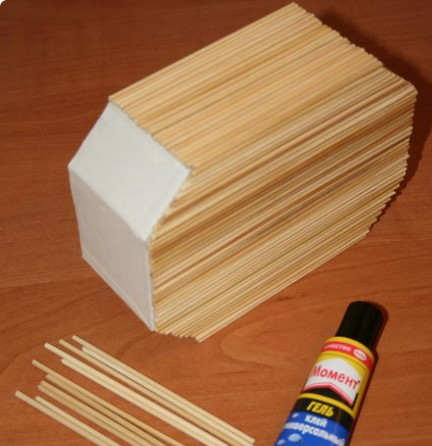 16) Until the glue has dried completely, check whether to keep the lid in position. 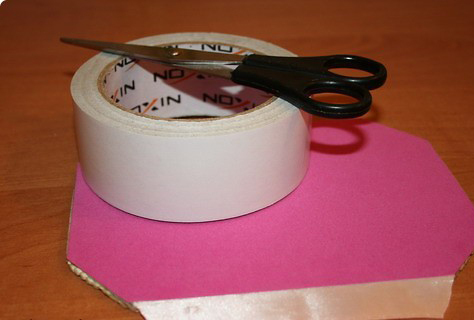 If the cover is not held, it is necessary to pull the tape stronger. 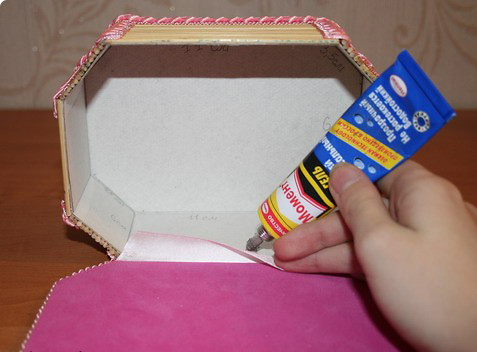 17) Velvet paper inside the box. Pasting mirror.